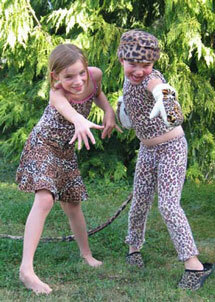 Tell us what you are doing to help clouded leopards and we’ll post it on this page! 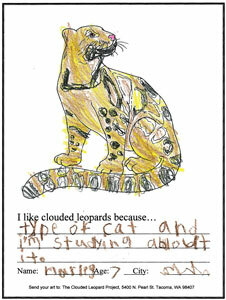 Marley, age 7, of San Diego created a clouded leopard poster for her "Rainforest Poster Report" and shared it in her 2nd Grade Class. Great job Marley! 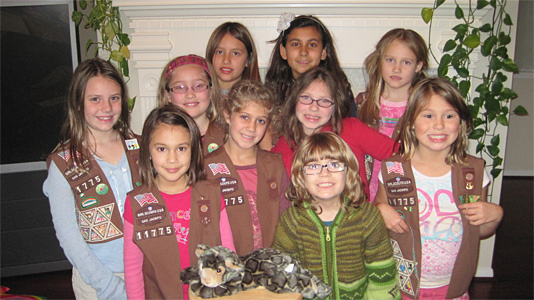 Special thanks to the girls of Texas Brownie Troop 11775 who saved spare change for over a year in order to raise the $250 needed to Adopt a Wild Clouded Leopard. 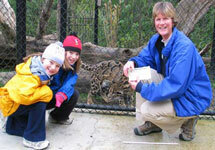 They learned about the clouded leopard and even went to see one at their local zoo. 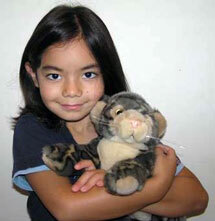 The plush clouded leopard in their Adoption package is now our new troop mascot. Way to go girls! 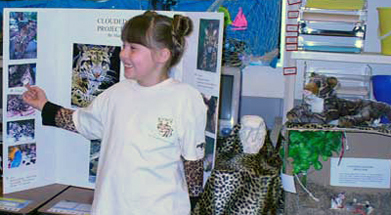 Thanks to Madison for sharing news of her class project featuring clouded leopards. Madison researched and put together an in depth presentation and shared it with the other students in her second grade class. 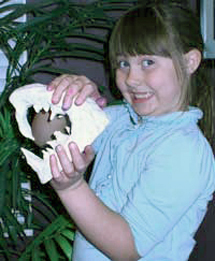 Madison handcrafted a clouded leopard skull replica to show off the cat's unique teeth and created a diorama to demonstrate the clouded leopard's hunting method. 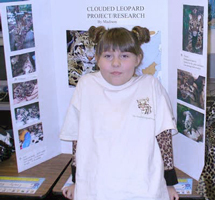 Thanks to Madison's dad for sharing news of her project and supporting our conservation efforts by purchasing Clouded Leopard Project patches for Madison's classmates. 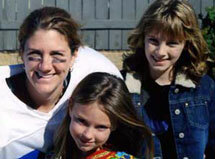 We love hearing of the talented kids who help spread the news about our cause. For two years in a row, sisters Cassie and Annika have celebrated their birthdays by asking their friends to bring donations for The Clouded Leopard Project to their party instead of gifts. 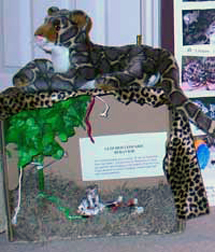 Their generous efforts have resulted in $1000 in support for clouded leopard conservation. Way to go girls! 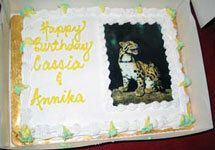 Cassia and Annika gave their friends leopard print scarves and even had a clouded leopard birthday cake. They recently visited Point Defiance Zoo & Aquarium to present their donation to Clouded Leopard Project coordinator Karen Povey and Raja. 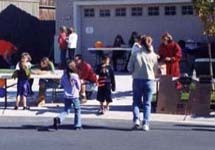 Lindsey and Lauren held a Halloween Carnival to support clouded leopard conservation. 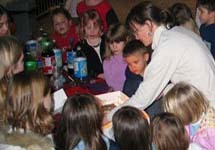 They raised over $70 through their bake sale and games to help clouded leopards. Thanks for the great effort girls! 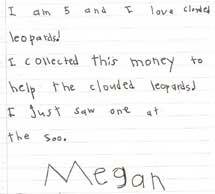 Five-year-old Megan recently developed an interest in clouded leopards and, after learning they were endangered, wanted to help. 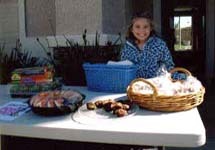 Megan had a cookie sale and with the help of her grandmother collected donations totaling $132. 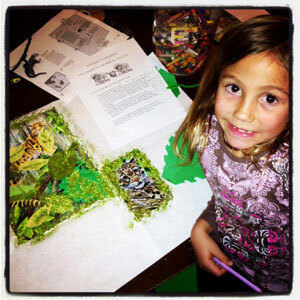 We’re impressed with Megan’s commitment to conservation at such an early age!